This multi purpose spreader ditcher could be used to plow snow, spread ballast and dirt, and clean ditches along the tracks. It was built by the O.F. Jordan Company in 1916. A flanger mounted underneath to plow between the rails is actuated by air. The side wings could be opened out for plowing and ditching. A coal burning stove inside the cab provides heat for crews in the wintertime. 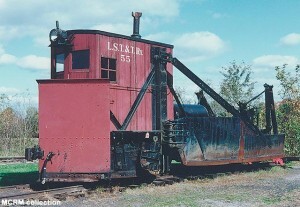 #55 spent its active career in the Superior, Wisconsin area until it moved to Mid Continent in 1976. 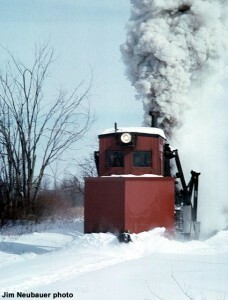 It was used for snow plowing at the museum’s annual Snow Train event until the early 1990’s. 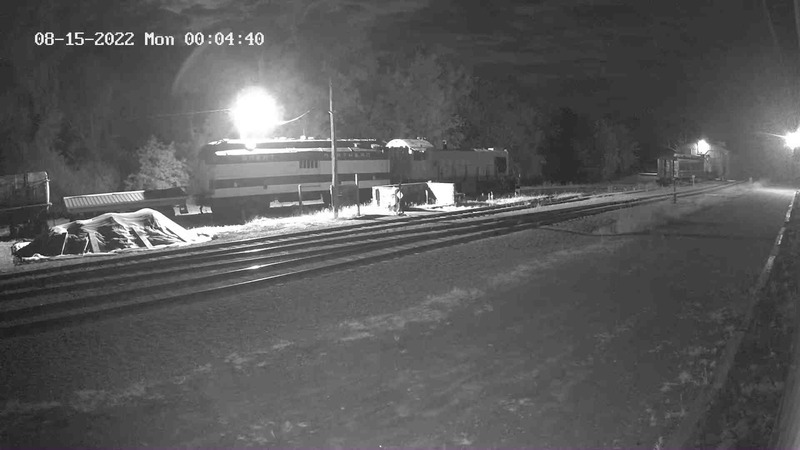 It is currently out of service, needing repairs to the substructure and trucks. 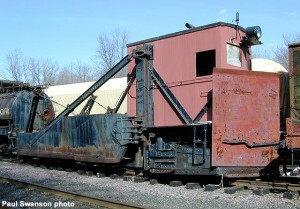 Oswald F. Jordan, a Canadian who worked as a roadmaster on New York Central’s Canada Southern in the Niagara region, invented what would become known as the “Jordan Spreader.” It is believed he supervised the construction of the first few “Jordan” spreaders in the Canadian Southern’s shops at St. Thomas around 1900. About 1905, the O.F. Jordan Company was formed with a plant located at East Chicago, Indiana. Over one thousand spreader-ditchers were manufactured by Jordan in various variations until 1981. Jordan was acquired by Jackson Vibrators, which in turn is presently merged into Harsco Track Technologies.